Once upon a time, Au Energy was all about expanding profitability. 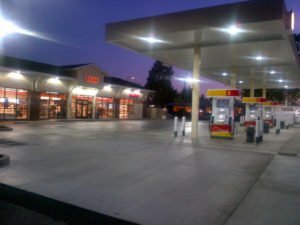 With more than 150 gas stations in California and four decades in the industry, the company realized early on that it could achieve higher profit margins by moving beyond fuel sales and offering a range of on-site complementary businesses such as car washes, quick service restaurants, and convenience stores. 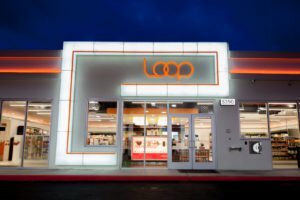 As its C-Store business grew, the company took steps to button up its store operations and secure point-of-sale (POS) transactions. By integrating Envysion’s Managed Video Solution into the existing cameras and POS systems, the company gained newfound capabilities for identifying and correcting unwarranted cash refunds, discounts, and voids; reviewing procedures around cash handling and safety; and properly investigating complaints and accidents. Yet new challenges continued to arise. With its footprint surpassing 130 convenience stores across the state, Au Energy again faced challenges that threatened its business. More stores—and larger stores—meant adding cameras and monitoring at greater costs. It also required a loss prevention team of seven people on duty 24 hours a day, seven days a week, to report any security or POS issues and a system flexible enough to scale loss prevention (LP) quickly without losing valuable functionality. Gone are the days when Au Energy ran just 40 C-Stores in conjunction with their gas stations. As a smaller business, it was easy to corral operations and personnel for training, routine check-ins, and the occasional discipline if necessary. But with a 12-month goal of opening 10-12 additional stores, Au Energy had to staff up accordingly, perhaps to double or even triple the number of employees. Even though all managers had access to the Envysion system and were required to use it in a concerted effort for loss prevention and maintaining procedural compliance, Makarem says there’s no escaping the reality that a larger employee base usually means increased risk, theft, and liability. Heading into the future at a fast clip is not for the timid. 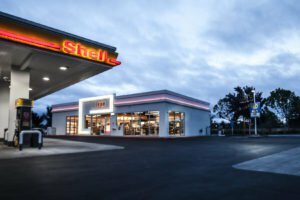 And Au Energy understood the level of effort and commitment needed to ensure the success of each of their stores—new and existing. Continuing the partnership with Envysion to prevent theft and mitigate risk was a given, but it also meant deepening the partnership to expand and improve operations as well. With the success of its stores hinging, in part, on a code of personal ethics, effective management, and adherence to correct procedures, employee behaviors and activities that would otherwise be abstract and unknowable without a system of video surveillance in place could actually be captured in real time. Envysion’s Managed Video Solution supports unobtrusive, high-definition cameras and microphones that help managers and other leaders to keep tabs on a variety of in-store activities and customer interactions as they’re happening—from a multitude of vantage points. And, as a cloud-based platform, any activity can be viewed in the store or remotely from any connected device from within the Envysion app for maximum convenience and responsiveness. All footage is safely recorded and stored which allows managers or the loss prevention team to go back and view video from any timeframe to find out where—and by whom—the theft or fraud is occurring. And when issues like potential credit card fraud, product theft, or even accidents and falls that result in Worker’s Comp claims arise, Envysion provides the visibility and clarity needed to help law enforcement, insurance companies, and legal teams investigate each incident and bring it to a swift resolution. But clearly, it’s not just about loss and fraud prevention. Keeping a close watch on how store policies and procedures are being followed—whether it’s cell phone use on the job, failure to greet customers, or lifts or actions that result in “near misses”—allows Au Energy leaders to proactively review those policies, enact changes for greater operational efficiency, communicate them to the field, and make more effective hiring and training decisions going forward. Raising the stakes on loss prevention and policy compliance goes hand-in-hand with developing new processes to laser-target and quickly alert leadership about any POS issues. Even though expanding a business is a major undertaking, the efforts have been well worth it, as Au Energy now boasts some of the lowest loss percentages in the C-Store industry—an achievement that harkens back to their goal in the early days of ensuring profitability. Where the standard loss percentage tends to be 1.5 to 2.5%, Au Energy is outperforming it, and has been for some time. With all managers on board and leadership’s loss prevention trajectory in place, Au Energy is poised to usher in this new level of growth confident that operations are smooth, secure, and able to scale successfully.